There isn't a police force in the country which hasn't felt the effects of plant and agricultural theft over the past few years. Since the theft of cars has become much more difficult without being able to gain access to the keys, criminals have turned their attention to softer targets. And targets don't get much softer than plant machinery. With an often one key fits all policy, no compulsory registration, no compulsory insurance, no documentation, no MOTs, no compulsory licence permit to drive, lack of tracking devices, low police awareness etc etc. The list is endless, which is why it is so attractive to criminals. The theft of machinery also facilitates other crime such as money laundering, ATM thefts, even terrorism! It is very unlikely that technology such as ANPR will help in the detection of this type of crime. 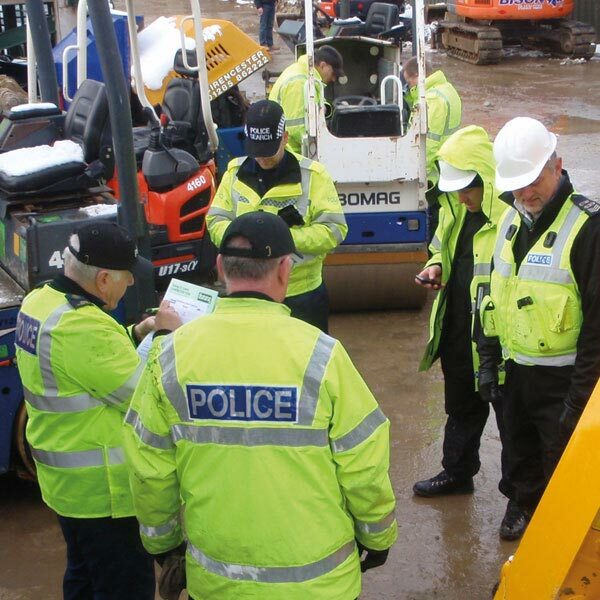 Once a machine has been stolen the best chance of recovery is usually within the first 48 hours and this is where the well trained police officer comes in! The course runs over 2 days and is a mix of theory and practical. Students are required to fill out a workbook, and sit an end of course multiple choice examination. To book onto the course, please contact: info@datatag.co.uk - Places are filling quickly, so be quick!